Why hello there guys! I hope you all had a fantastic weekend. I just got back from a day at the fair here in Franklin Tennessee. It was the perfect day spent with my boys, celebrating my husbands birthday a little early. Being a wife to a husband in summer sales can be rough sometimes while my husband works crazy hours, so we live for Sundays. It’s his only day off, and we try to make the best of it. The giggles and kisses we got from our boys today, I wouldn’t trade those memories for the world! What did you all do this weekend? Any readers in Nashville area? If so, what is fun to do here. I’ve got two more weeks and want to make it amazing! Adorable tee! 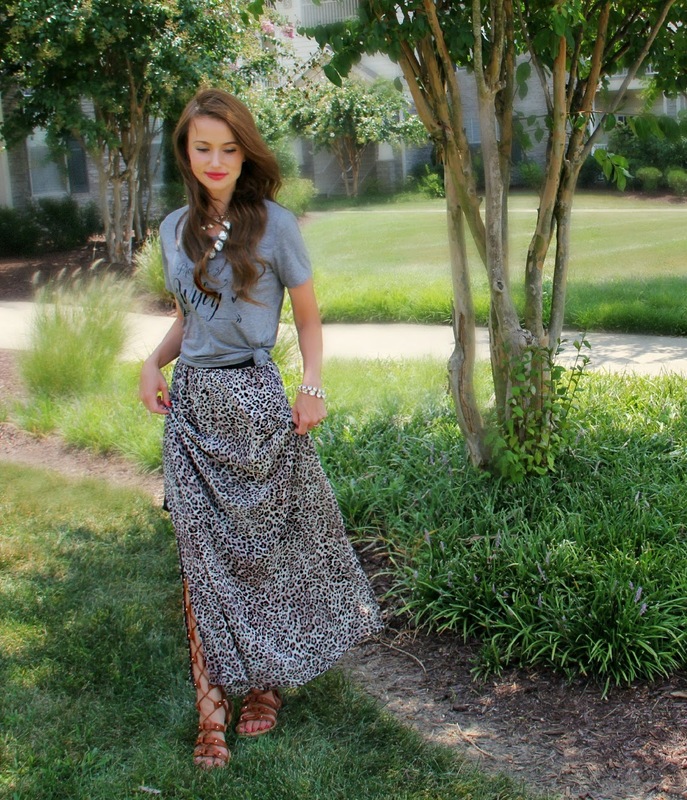 I love the glam necklace and fun skirt paired with the more boho-chic sandals! I love that skirt!! And that top is super adorable too. I never would have thought to wear those type of sandals with something like this but it looks great! Hope you had a great weekend! I love this outfit. I need to find sandals like those! THis is a fabulous. 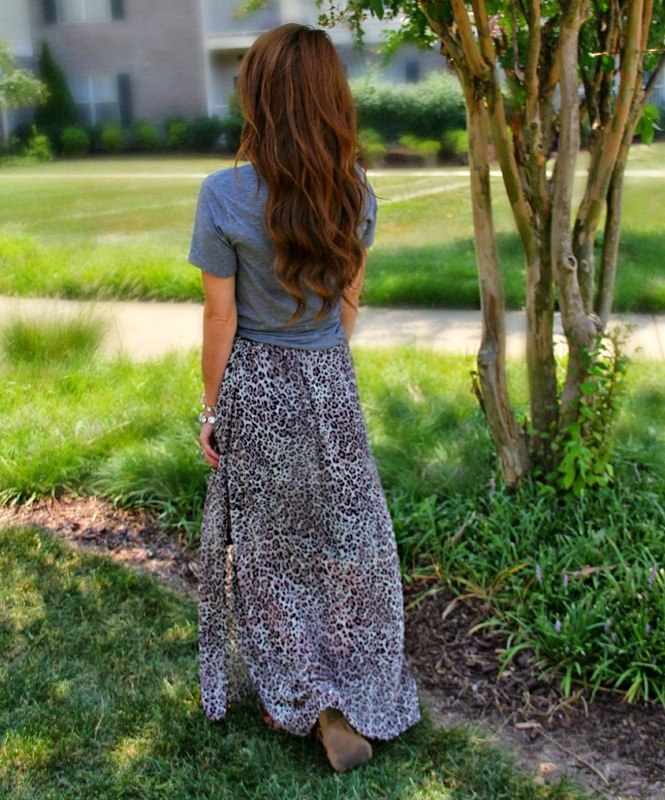 I love this leopard skirt and with those long gladiator sandals it looks so stylish! THe statement T is also a great look with it. What brand are your sandals (and where did you purchase them)? Thanks! I bought them at Charlotte Russe about 8 or 9 months ago. The brand is Liliana 🙂 hope that helps. I totally agree that leopard is a neutral! I really like your skirt and your necklaces are so pretty! Agreed – leopard is always a neutral in my books. Loving this look. Fab skirt! Love that skirt and your necklace! !